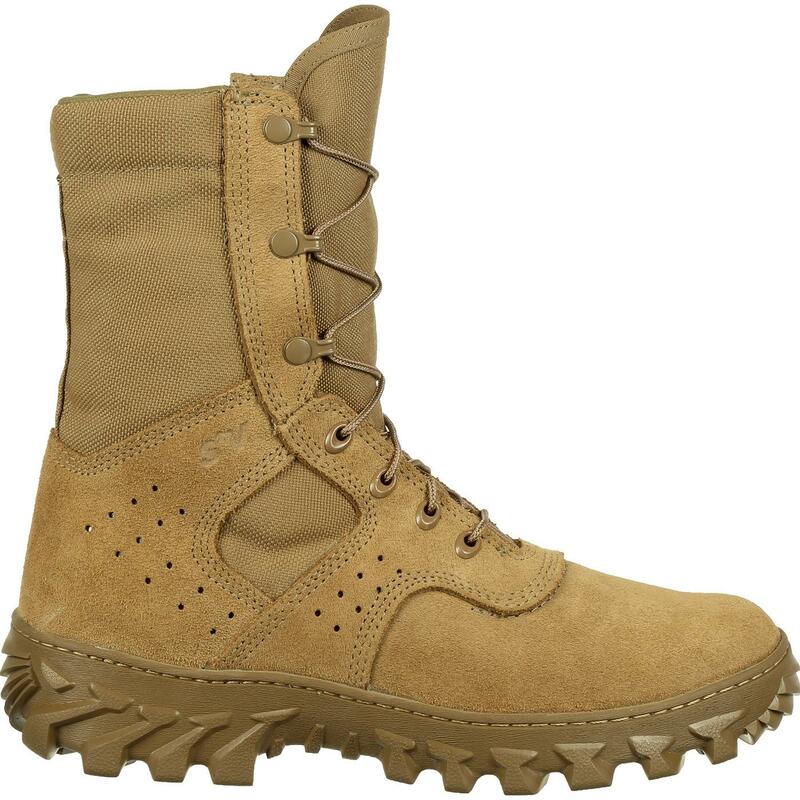 The Rocky® S2V Enhanced Jungle Boot is a Coyote Brown military boot made in the USA, Berry-Compliant, uniform-compliant (AR 670-1) and GSA-approved. 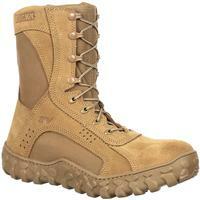 This is in addition to other great performance and comfort features that support you and your mission. 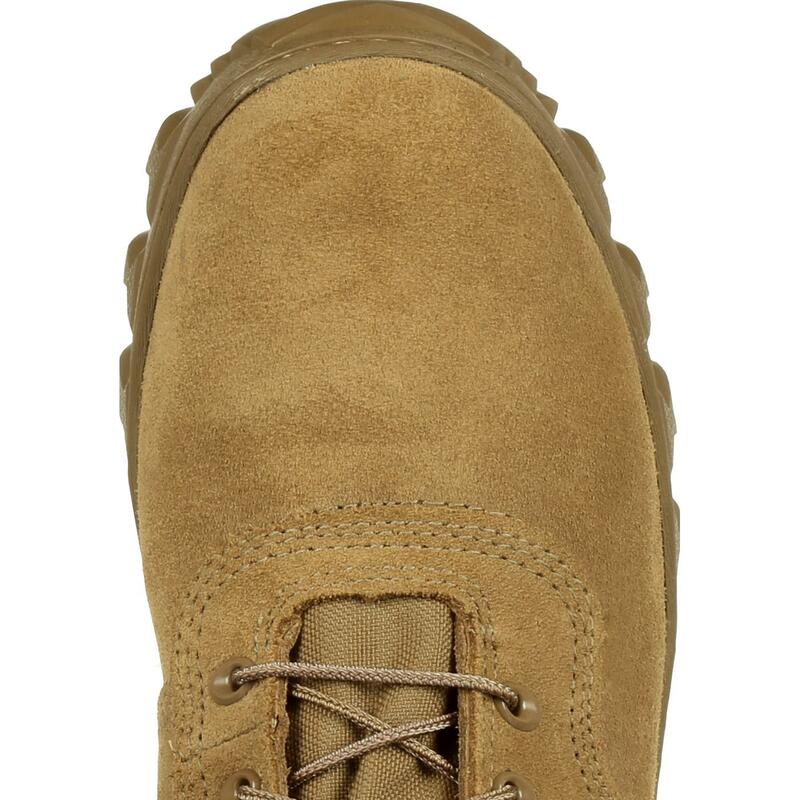 This jungle boot is puncture-resistant to protect you from stepping on sharp objects. Roll-Stop Ankle Stability reduces injuries by preventing ankle roll while running on uneven terrain and on long marches. Your duties can take you through wet, swampy conditions. Avoid wet environment injuries with Advanced S2V Sieve™ technology from Rocky. It circulates air in and water out as you step. 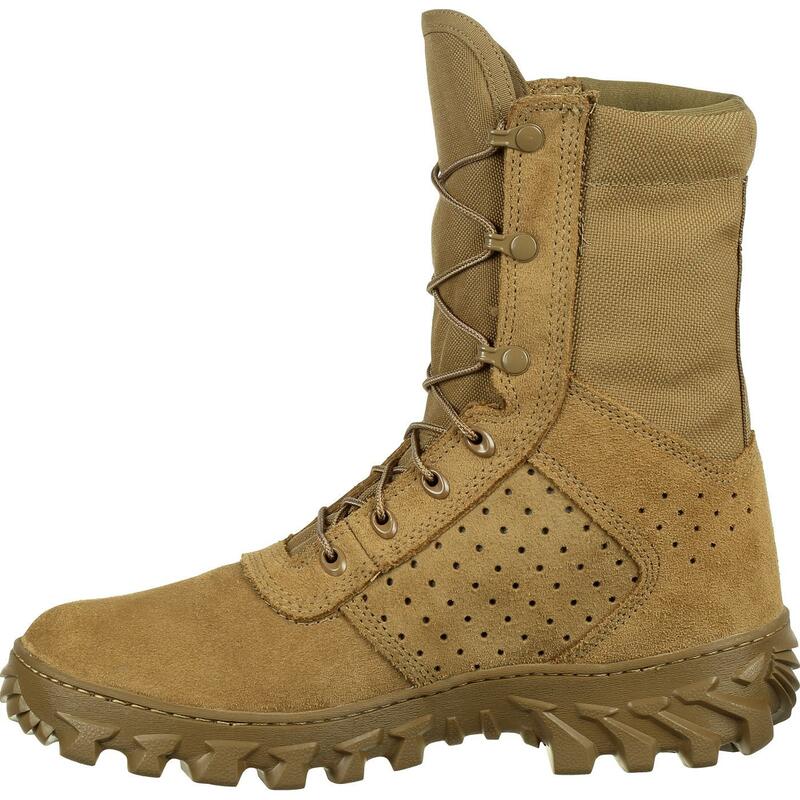 The Rocky® S2V Enhanced Jungle Boot is made using American flesh-out cattle hide leather and 1000D CORDURA®; it resists items that could tear at your boot. 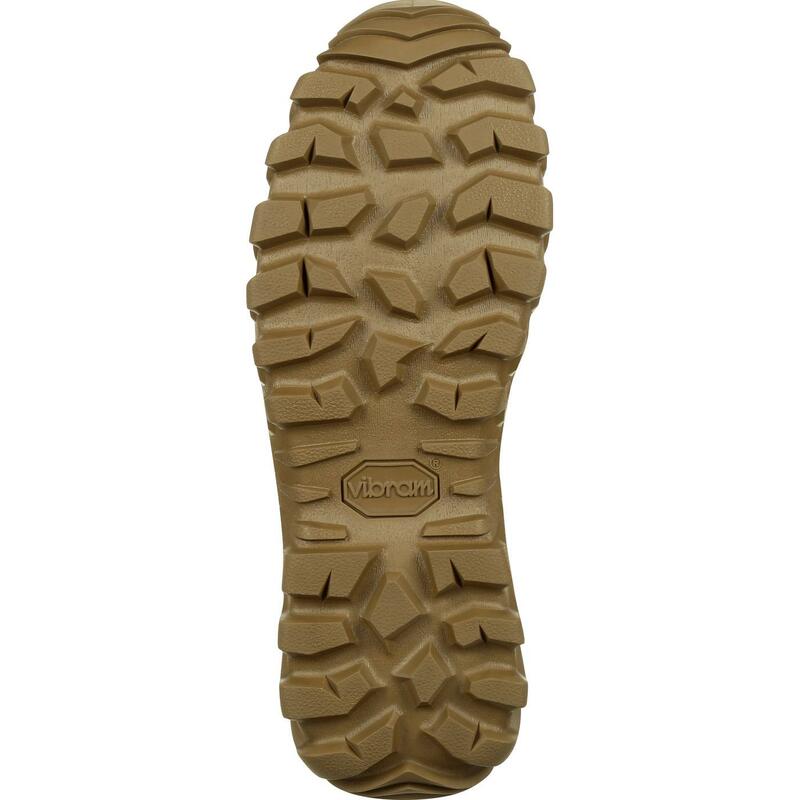 It has an increased lug depth and breasted heel will increase your footing. 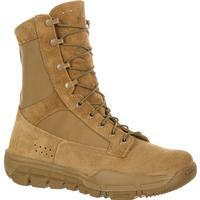 This eight-inch combat boot, has a proprietary high-walled Vibram® sole that's high-quality and long-lasting. 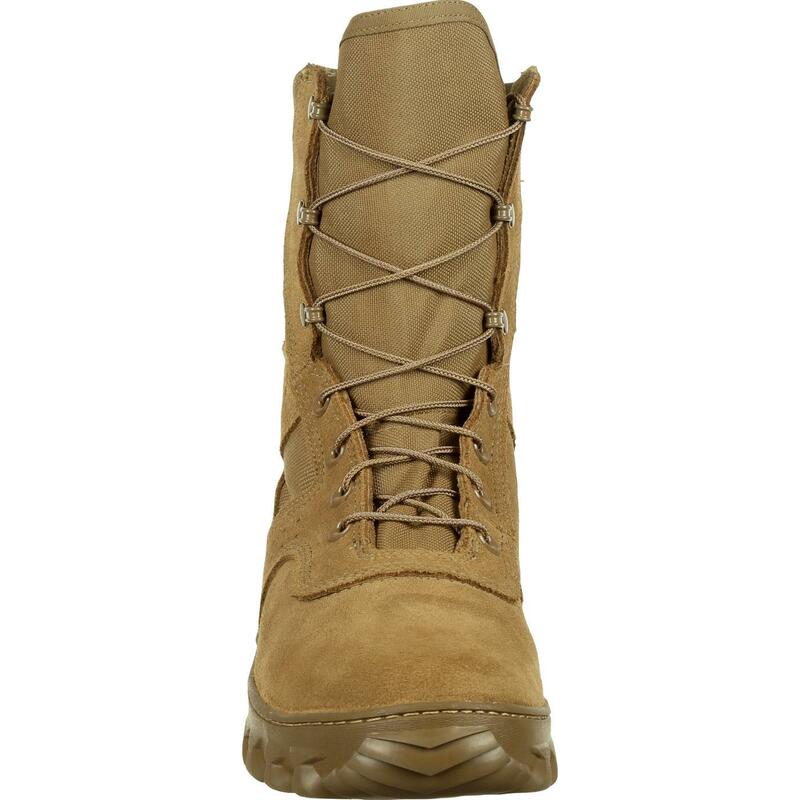 It's both stitched and cemented to the upper so this boot will stay together for the long haul. 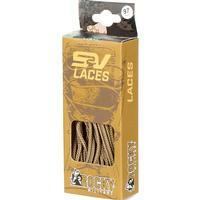 You get speed lace eyelets and NATO hooks to get your boot on quickly and securely. 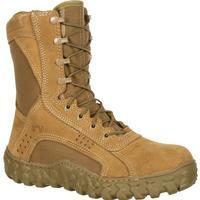 While the function and performance of this puncture-resistance boot is great, it's also a comfortable jungle boot. The Rocky Air-Port™ Cushion Footbed is designed for longevity and comfort while moving air around your foot as you walk. 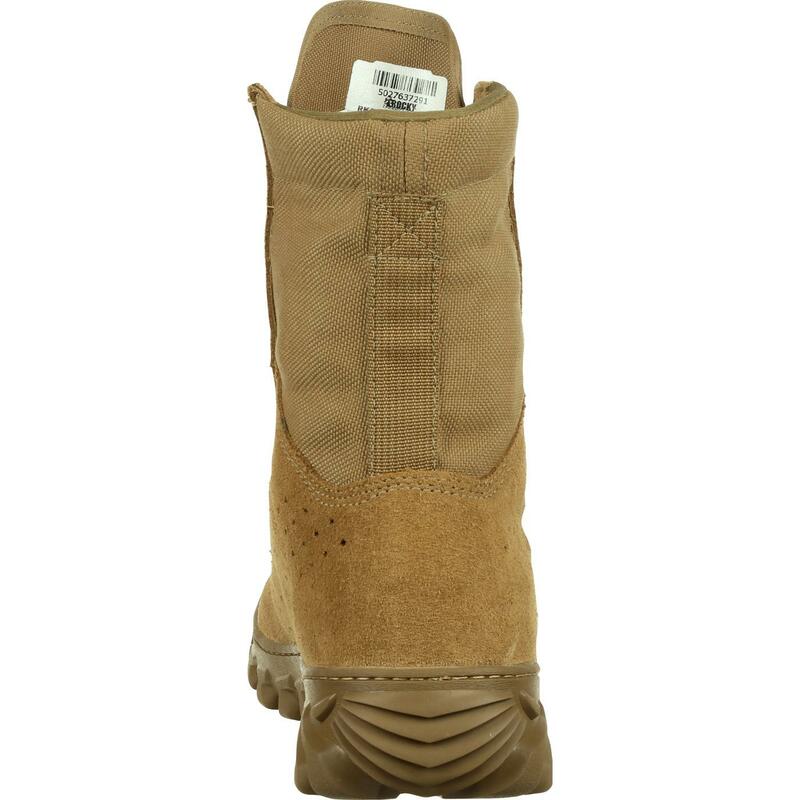 Even the boot lining is specially designed for comfort. Made of Dri-Lex®, the lining wicks sweat from your foot. It also has an Aegis® Microbe Shield that fights bacteria. A fiberglass shank gives you the arch support needed for hours on your feet. 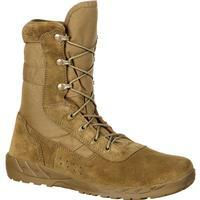 If it's time for a new military boot, make sure you get one that serves you well. Get protection and comfort with the Rocky S2V Enhanced Jungle Boot.